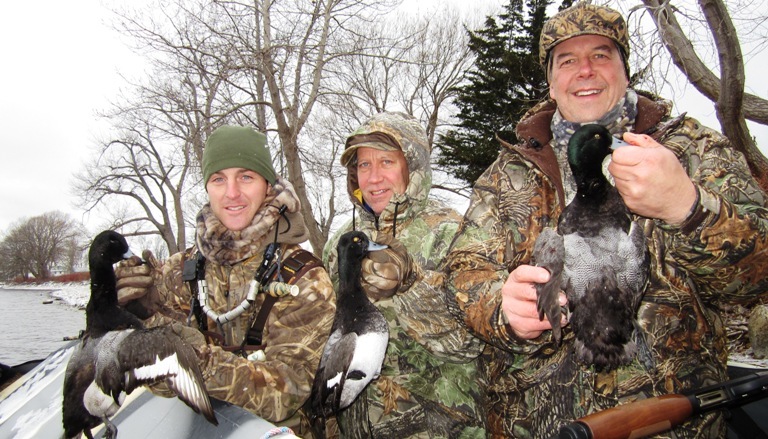 The Eastern Basin of Lake Ontario is a HOT SPOT for “Bluebill” action! 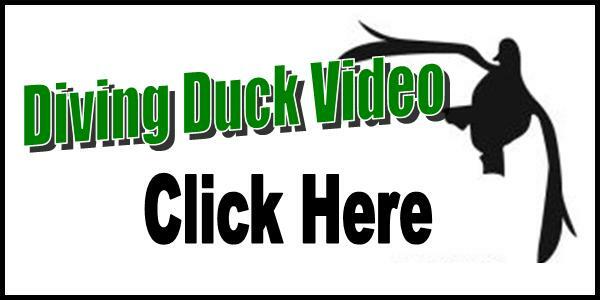 Expect to encounter both Lesser & Greater Scaup! One of our custom Float Rigs overlooking a rig of Divers! 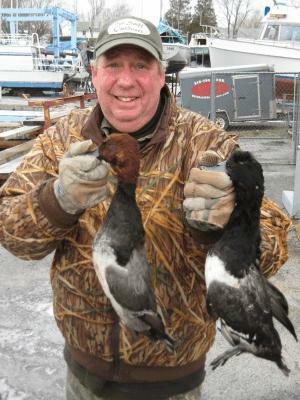 Our good buddy Todd Wagner (Pa) holds a bull Redhead and Greater Scaup. While we do not target these birds daily (small limits)-our region is one of the few areas in North America where lesser and greater Scaup (Bluebills) congregate during the fall migration. 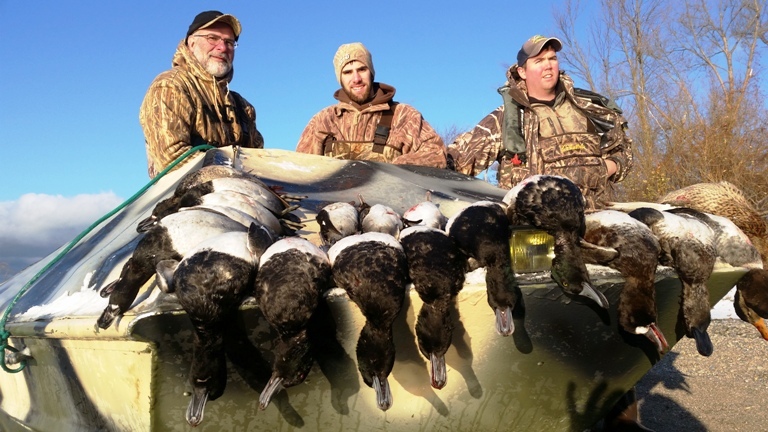 When the right opportunity arises, the Seaway team is fully rigged to take advantage of these legendary diving ducks. Todd and his brother Judd gunned beautiful examples of both lesser and greater drakes with this drake Redhead thrown in the mix as icing on the cake! 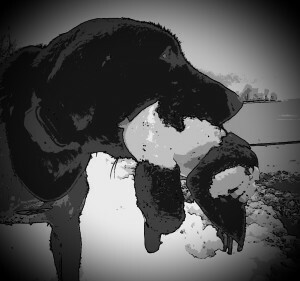 We harvest: Bufflehead, Goldeneye, Lesser Scaup, Greater Scaup, Redheads, Ringnecks, Hooded Mergansers, Common & Red-Breasted Mergansers and the occasional Canvasback.